Saxophonist, composer and label head Dave Rempis is as hardworking a musician as you are likely to find in modern scene. He arranges for a wide range of releases on his Aerophonic Records label as a leader or collaborator in both digital and physical format. Late this summer he has two interesting new releases available as both compact discs or digital downloads. 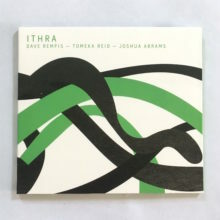 Ithra has a trio consisting of Rempis on alto and tenor saxophones, Tomeka Reid on cello and Joshua Abrams on bass, and they come together to create a wonderfully evocative and atmospheric album. This isn't a blowout, but rather a deftly arranged series of miniatures, with long tones of cello and bass that arc across the songs presented here, at times giving it a feeling of a chamber music recital or a daring experiential abstract improvisation. The three musicians use their unique talents to develop voicings upon their respective instruments that fit the music perfectly allowing the compositions to evolve slowly and gracefully and granting plenty of open space and liberal interpretations of the source material. 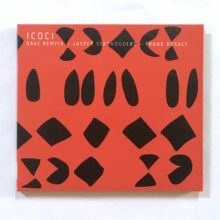 The album ICOCI moves into a completely different direction with the group consisting of Rempis on alto and tenor saxophones, Jasper Stadhouders on guitar and electric bass and Frank Rosaly on drums for a brawny, Chicago style free jazz explosion. There are only two tracks on this album, both well over twenty twenty minutes in length and that allows the musicians to really develop a focused three way conversation that has has episodes of outright blowing, but it is the dynamic range of the music and the tension and resolution of these cells within the larger improvisation which provide much of the forward thrust powering a very exciting and engaging session. Stadhouders alternating between guitar and bass, and Rempis deftly switching between horns allows the music to open up with a wide range of textures and approaches that are are given excellent support from Rosaly's powerful drumming. These are both fine albums, and are easily recommended to open minded jazz fans. Dave Rempis deserves a lot of credit for putting together these diverse collections and releasing them to the public, because they are high quality recordings and packages that are deserving of attention. Aerophonic Records.